A bench of Justices J Chelameswar and S Abdul Nazeer declined to interfere with the 17 August order “of the Allahabad High Court that rejected a plea of a Uttar Pradesh native, seeking” quashing of the FIR lodged against him by the woman. II In option V who is not correct as it is talking about the Allahabad High Court and it is especially used for the people. And for the non-restrictive clause which is the right usage i.e. to give the further information which is not restrictive “which” is used. It eliminates option I and IV. When the task is completed before any other one we use past perfect tense as in the sentence A bench of justices declined after the Allahabad High Court had given its verdict. So past perfect is the right choice which eliminates option III. The correct option is II. V here the sentence is in passive voice because the political parties are invited but by whom, it doesn’t really matter. So when the object becomes important than the subject passive voice is used. It eliminates I, II And III option. When the task is completed before any other one we use past perfect tense as in the sentence announcement is done after the meeting so past perfect passive voice is used which clearly corrects the sentence in option V.
IV over is used to represent the extended periods of time so for using the phrase past two or three years over is the right choice, which eliminates I and III option. 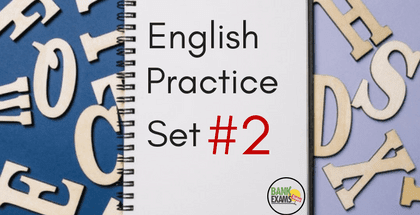 For the event which started in past and continues till now, for this present perfect tense is grammatically correct which makes option Iv the right choice. “Brazil has stepped back from the brink: its currency and its bonds” have rallied strongly after its new centre-left government committed itself to tight fiscal and monetary policies. III from is used to tell the situation or place from where it starts and to shows the endpoint. So in the sentence, Brazil has stepped back for referring the point we use the preposition “from” and the use of it’s is wrong which means it is which is irrelevant here so the correct option is III. I-designing to serve the needs of the rich at the expense of the poor. II with has been IIIrd form of the verb is used which clearly eliminates I, III and IV. For is used to refer a reason and of is used to point someone for whom we are talking so of is the correct choice which makes option II the correct choice. II plural verb is used with the phrase “one of the” so lessons will be used instead of lesson. For referring the reason “for” is used whereas at species the particular point which cannot be used here so for is the right preposition in the following sentence. Option II is the correct choice. I as against cannot be used because it is for the benefit of lower middle class and benefits for lower middle class is provided when they vote in favour of Trump not against. So V is incorrect. Whom cannot be used which eliminates II and IV. The use of “for” is right which makes the option I correct.